Home / Trading / Trading Advice / Don’t Sweat Lululemon Stock … Short It! Don’t Sweat Lululemon Stock … Short It! From a position of nimble strength, shares of Lululemon (NASDAQ:LULU) have lost their balance in recent days. And with some “downward dog” style tendencies setting up on the price chart, it’s time for bulls to consider exiting LULU stock and bears to flex their musculature with a well-placed short. Let me explain. The writing may not be on the wall yet for LULU stock. That may have to wait for another several trading sessions when Lululemon releases its Q4 earnings report on Mar. 29. But investors don’t appear to be willing to sit around and sweat out the forthcoming results despite the athleisure outfit’s surprise upwardly revised and well-received guidance back in mid-January. The squiggly price line on the LULU stock price chart has quickly distorted a couple of months of relative strength and bullish maneuvering since the beginning of March. Now, with sufficient technical damage done, it’s enough to recommend LULU stock bulls reconsider any long positions — and even shorting shares for investors comfortable with those risks. If you purchased Lululemon stock’s recent handle breakout within its corrective cup-shaped base, I certainly wouldn’t blame you. In fact, I recommended the entry alongside a buy in athletics giant Nike (NYSE:NKE) in late January. Still, market conditions and price charts like Lululemon’s do sometimes take technical turns for the worse. At the end of the day, when those zigs and zags are strong enough to upend one’s prior convictions, it’s preferable and typically more profitable to go with the flow and leave the ego at the door. Right now, that seems to be the situation facing LULU stock. Technically, the failed handle breakout in LULU has been compounded by more recent failures of key support lines to hold. And now this past Friday’s ominous rebuttal of the prior session’s bullish hammer only solidifies the bear case. The price action is discouraging enough that I don’t mind anticipating that a much larger “W” or double-bottom base could be in the works. And that would be ugly for LULU stock bulls. If our bearish forecast proves closer to tomorrow’s reality than not, the failed handle breakout is actually a bearish mid-pivot within the larger base. In turn, that would mean Lululemon is in position to retest the December lows in the coming months before and if a sustainable bottom is established. For investors’ long LULU stock, I’d recommend looking at the position’s cost-basis versus the potential risk and consider exiting today. And for those comfortable with shorting shares, a timely bearish opportunity exists. With the technical scale having tipped in favor of shorting LULU stock, my recommendation is to sell short shares today. And with a stop-loss above $148.50, this bearish investor doesn’t have to sweat the position either. This blended exit strategy is practical as it contains exposure in Lululemon to less than 5%. Secondly, this stop-loss allows for a small bit of wiggle room, but ultimately wisely forfeits the position and takes a loss if last week’s hangman high and trend-line resistance are overcome. 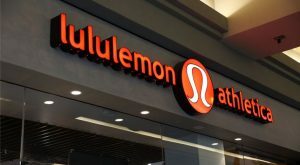 Article printed from InvestorPlace Media, https://investorplace.com/2019/03/lululemon-stock-short/.